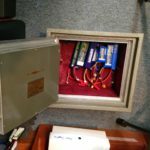 Today we are going to talk about a very interesting topic: Recommendations for charging your LiPo battery for the first time. Whatís interesting here is that these LiPos are responsible for supplying the power to your drone or any other RC gadget, and yet, not many people know the basics about them. Most beginners donít know that certain precautions are required when charging, manipulating, and storing their batteries. If these are not treated properly, batteries could ignite and get on fire. Thatís why todayís post will be all about the best tips to charge (especially the 1st time), manipulate, and store your LiPos. Now that we know this information, what is best for battery efficiency when charging it for the first time? What are some precautions and tips for charging and discharging the battery? 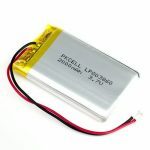 Lithium Polymer (LiPo) batteries are the most used in the RC gadgets industry these days. Other types include the Nickel-Cadmium and Nickel-Metal Hydride ones, but LiPos have been gaining popularity in the RC world due to the efficiency reasons. In fact, most advantages of LiPo batteries are related with it low weight (which is important for drones), higher capacities of power, and higher discharge rates, which allows them to provide more ìpunchî for any given application. On the other hand, these have a very sensitive chemistry and that is why they need to be handled well. Also, this same condition requires them special care when charging, discharging, manipulation, and storage. However, I want to clearly state that there is nothing dangerous about LiPos, as long as these are treated with the required precautions. Think of them as forks, you use them to eat everyday, but if not handled properly, a fork could pose some risks. What is good information to know about your LiPo battery and how to identify the right type for your application? What most people ignore about LiPo batteries is the meaning of all those numbers printed on their envelopes. Letís take the following battery as an example and examine the numbers it has printed. As you can see, there are several numbers printed on the battery, besides the brand and battery type. Letís examine them one by one and get to know more about the cell we have here. These numbers mean that 3 cells are connected in series (more on what in series means for batteries in the next section) inside this 1 parallel pack. This is the voltage that of the whole pack. Normally, a single cell holds a nominal voltage of 3.7V. Since this pack has 3 cells connected in series, the voltage is added resulting in 11.1V (3.7 + 3.7 + 3.7 = 11.1) as nominal voltage. 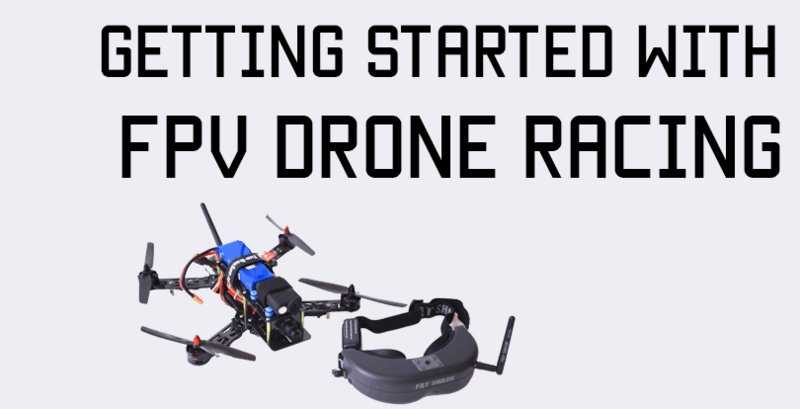 This voltage is directly related with how fast your drone (given the topic of this site) will go. The more voltage, the higher the RPMs of the motors used for your gadget. Most drones use brushless motors, which are classified by KVs. KVs is the RPM constant of a motor, which is the number of revolutions per minute that the motor will spin when 1V (one Volt) is applied to its terminals, and no load is attached to it. Thus if we have the following brushless motor, you can see it is rated as KV = 2300. That means that it will deliver 2300 RPMs per each volt you apply to it. Using our example battery above, this motor will spin 25530 RPMs (2300 * 11.1 = 25530). When I started studying electronics as an engineer, the concept of current was always difficult for me. In reality, understanding how the current works is not difficult. All materials have atoms, these have electrons, and current is nothing more than electrons moving all across the closed circuit that you form with wires, connectors, the different electronic components, and of course, the battery. Something else that is useful to know about current, is that the way to measure it is in Amps, thus, 2200 mAh means that this battery can move 2.2 Amps each hour. This will pretty much determine by how long your drone will fly, so the more Amps in your battery, the longer the operational time. At this point, and considering that most commercial drones can fly for 6 – 9 minutes, most people think that the best solution for this would be to simply increase the amount a battery can handle. This however may not be the best solution, as this would also increase the size of the battery, increasing its weight, and making the drone less efficient (it would have to use part of the power delivered by the battery, to carry the battery itself. In fact, drones already do this, but the batteries are so light that this is almost imperceptible). Also, it is widely recommended that after each flight, a cool-down period of 10 minutes is allowed in order to let the motors rest and have them in proper conditions. This will ensure your motors have a long life. If batteries lasted more time, youíd be putting more pressure on your motors and that will also result in inefficiencies and higher costs for the hobbyists. This number is one of the most interesting from all the ones on the battery, and key as well to understand the operation of the battery. The 50C refers to how much current the battery can deliver (this will discharge it) safely and without damaging the battery. To better illustrate this, think of it as a weightlifter who wants to know the maximum weight he can lift without harming himself. The maximum load can be calculated by doing the following calculation. Thus, the maximum sustained load this battery can handle safely is 110 Amps. Going higher than this could at best degrade the battery and make it useless. The worst scenario involves flames and fire (chemical fire). This is another measure that many applications use to know the power over time of a given battery pack. The power of the battery is measured in Watts, (thatís why the W). Like I said, many applications are measured in Watts per hour, which is a measure of the power over time that a certain application requires. That is why manufacturers as well specify the WH that the battery can supply. And those are all the parameters we have printed on the battery. I’ve seen places online where the battery is compared with the fuel tank of your car. This works great to explain some of the simple concepts we just reviewed, however, when speaking about charging your battery, a fuel tank may not be the best comparison. Charging your battery can be done at different speeds, while fueling your tank is done at a given pressure (set by the fuel pump). Just as the discharge rate (C) printed on your battery pack, there is a charge rate, which may not be specified by the manufacturer, but the recommendation is to keep it low. Low charging speeds will ensure your battery is kept in a healthy state for long time. Also, it is important to use the appropriate charger for tour LiPo battery. 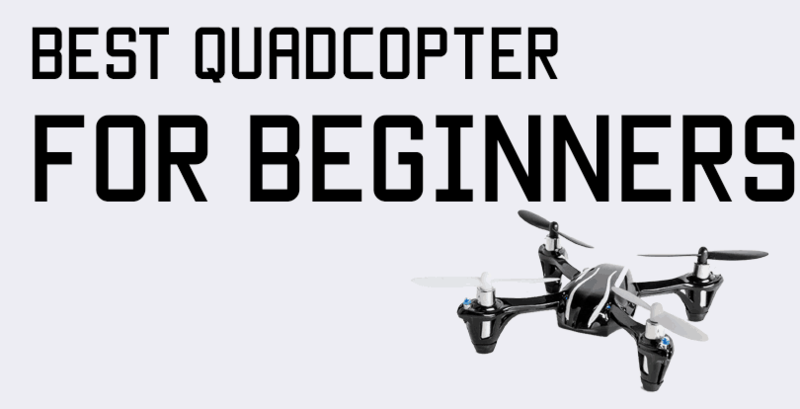 Most commercial drones for beginners will come with their own charger or their own method of charging. However, when you start to move into the RC world and experiment a bit with different gadgets, a compatible LiPo battery charger is a must. A charger will do several things for you, but some of the most important are related with keeping the charge rate constant and the balancing of the charge on a per cell basis. 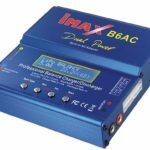 These two things are important for your batteryís health, but also, that is how a compatible LiPo charger ensures a safely charge process while avoiding the pack bursting into flames. Even if you use a compatible LiPo battery to charge your pack, it is very important to never leave a charging battery unattended. Or any situation at which you are not present in the same room the battery is being charged, during the whole charging period of time. Also, and this is crucial, the C rating to charge the battery, not just for the 1st time, but every single time you charge your battery is of 1C. This is why al LiPo batteries take longer to charge than to discharge during use (very different to a fuel tank). The way to calculate the maximum current your battery will be receiving while charging works the same way as we did with the discharge rate. That means that 2.2 Amps will be charged per hour to your battery, and that is why wait times to fully charge a LiPo battery are in the hours order. I must disclose that some manufacturers print a C charging rate higher than 1 on their batteries. If this is the case, it is safe to set your charger at such charging C rate. If the manufacturer does not specify otherwise, the best and safest charging rate for your battery is always 1C. We already mentioned that you should never leave alone a battery while charging. Even when chargers are very safe and secure, a degraded battery could burst into flames and the sparks could start a fire on the room. It is important to mention that in the case of fire, this would be chemical fire, and that is why water may not put it out. In whatever case, the first step with a LiPo catching fire, is to isolate the flames to avoid the fire spreading. This can be done by throwing sand and dirt to the flames. These can as well help to suffocate the fire. The best option here is to have an extinguisher ready that can handle class B and C fires. The fire extinguisher may not put out the fire either, but will help to avoid the fire from spreading and cool down the cells. As you can see in the following video, chemical fires are very hard to suffocate, but using these precautions can help you be prepared for any emergency. Another great idea is to use a LiPo fireproof safety bag to charge and store your batteries. These are very affordable and you can find them in various sizes. They can help you avoid many issues in case the battery ignites. One of the main causes why a LiPo gets on fire, is because it has been mistreated. Most LiPo batteries are only wrapped in a plastic and flexible material, leaving the cells very vulnerable to physical damage. Many of these hits, can cause punctures on the batteries, which is one of the main reasons why batteries gets on fire. Always make sure to store your batteries in a safe place where other objects canít cause them damage and ultimately punctures. The same goes for handling the LiPos while you charge them or plug them to your drone. Another reason why batteries ignite is because people tend to build their own charger out of other electronic devices, like phone chargers and cables connected. This is a terrible idea, as the current delivered to the battery canít be controlled nor the balancing of the cellsí charge. Balancing is important because it allows all cells to be charged at the same rate. If one cell is fully charged and it has to wait for the other to get filled, while current is still passing through the first one, the chances of that cell bursting into flames are higher. I know this will spark those enthusiasts of the electronics and circuitry to build homemade solutions to charge your batteries, either connecting them in series or parallel may not be a good idea. Best thing you can do is to get a certified and compatible LiPo battery charger to fill your cells. Look for one that supplies enough power (wattage) for you battery pack, and make sure it has a built-in balancer. This way you wonít need to buy any extra accessories. As you can see, the LiPo batteries are an extensive topic. Many things have been touched on here and many others are to be explored by you. What is important to know is that LiPo batteries are here to help us hobbyists have fun.These are by far the most used industry standard, and the reason is very simple, when they are used in the proper way and within the right conditions, there is nothing to be afraid of. 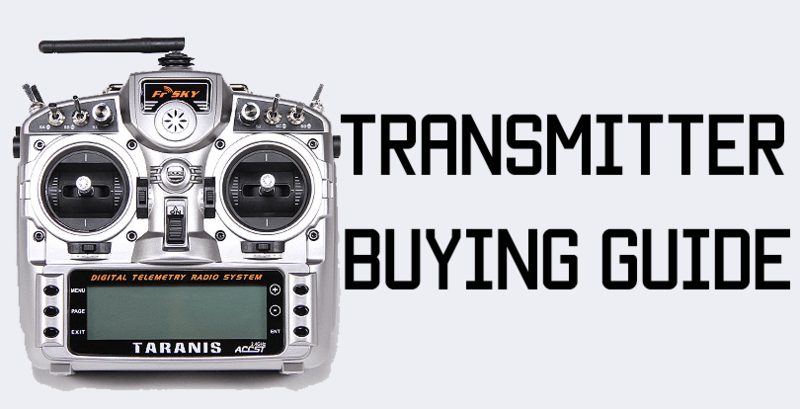 Just make sure you follow all the recommendations given in this post, and by no means stop here, keep looking and learning more and more about LiPo batteries. If you think there is something thatís missing on this post, feel free to post a comment and start the conversation about it. It will be great to know your thoughts. Last but not least, share this information on your social channels so other people know about the fascinating world of LiPo batteries. Jose Lozano is the owner and chief editor at RC Hobbies on Air, a website dedicated to share insightful posts, deep reviews, and useful tips for hobbyists in the look for the next big thing in the RC world. He enjoys sharing tips and advice with beginner pilots and publishes new content every now and then.